(¹) Seat of voivode. (²) Seat of sejmik and marszałek. "Local government in Poland is organized on three levels. The largest units, at the regional level, are the województwa (provinces)..." "Poland", دائرۃ المعارف بریطانیکا, 15th edition, 2010, Macropaedia, volume 25, p. 937. "GOVERNMENT... Administrative divisions: 16 provinces (wojewodztwa, singular–wojewodztwo)..." "Poland," in سی آئی اے, کتاب حقائق عالم 2010, New York, Skyhorse Publishing, Inc., 2009, ISBN 978-1-60239-727-9, p. 546. The same information appears in the current online CIA World Factbook --> "Poland --> Administrative divisions". Note that in this source, where "English translations" of province names are given, they are in the اسم ("Silesia"), not the adjective ("Silesian"), form. Professor Paul Best, of سدرن کنیکٹیکٹ اسٹیٹ یونیورسٹی, writes: "[I]n standard dictionaries the Polish word [województwo] is translated as 'province.'" Paul Best, review of Bogdan Horbal, Lemko Studies: A Handbook (2010), in The Polish Review, vol. 58, no. 4 (2013), pp. 125–26. 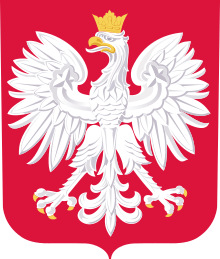 ↑ The word "województwo" is also rendered as "voivodeship" or a variant spelling. ↑ Alternate English renderings include "voivodship," "voievodship," "voievodeship" and "woiwodship".